Plan a snowy getaway with your family. Splurge on a ski vacation and let the resort pros make sure your high altitude holiday goes off without a hitch. The Sebastian’s amenities-on-demand program can deliver ski and snow essentials to your room along with an energy-filled breakfast. Order up an extra pair of toasty socks, hand warmers for the kiddos or another round of sunscreen. Guests can also arrange to have a steaming bubble bath drawn prior to a return from the slopes. Team up with the adventure concierge to plan a moonlight snowshoe adventure and ice-skating for the older kids while the littlest one plays in the Tykes Room. Should the kids need a break from the mountain they can also opt for hosted crafts in the Upper Lobby where creating hand puppets, finger knitting and experimenting with snow slime are possibilities. Should grown-ups need a break, the hospitality team is on hand to make restaurant reservations and scout for a babysitter. 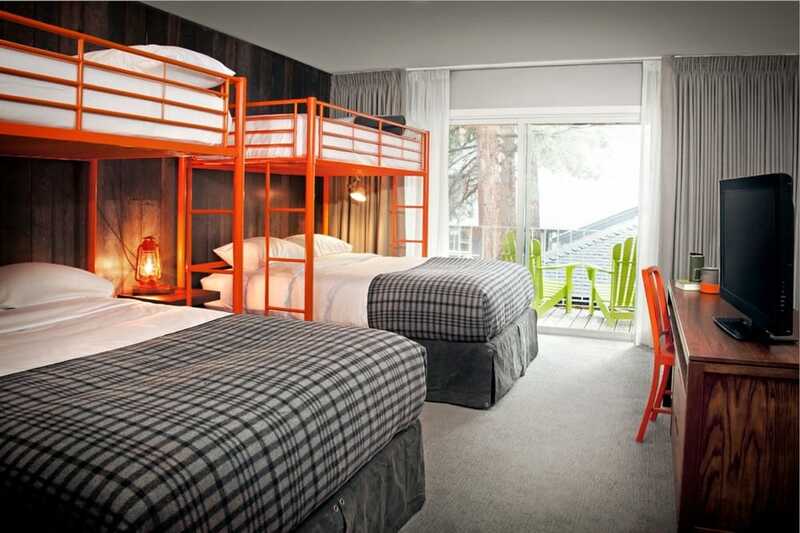 Basecamp Hotel, South Lake Tahoe, CA. Clever and cool, your kids will love the cozy options available at this boutique hotel, where exploring the local mountain community is encouraged. The Great Indoor Family Room sports a King bed for the grownups, adjacent to a wall tented room featuring bunk beds, a faux campfire, a picnic table and camp chairs. Designed as an alternative to a cookie cutter hotel, owners have repurposed “under-appreciated” buildings and infused them with “soul”. Happy hour includes homemade soups and stews. No surprise: s’mores are served nightly. 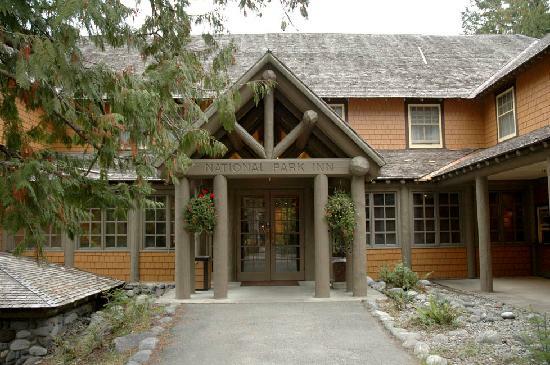 The National Park Inn. Mt. Rainer National Park. Leave your technology behind and immerse yourselves in the beauty of this majestic setting in the Park’s Longmire Historic District. Check in to one of 25 rooms in the two-story lodge. Relax in the lounge and sip hot cocoa near the massive stone fireplace while enjoying stories of the day and making plans for the next. Visit the general store, a circa 1911 log cabin, for access to cross-country and snowshoeing rentals and other goodies. You’ll find it difficult to emerge from the cozy lodge warmed by a roaring fire or your cabin crafted from indigenous materials. But when you do, choose from cross country and snowshoe trails that run deep into the woods or sunlit downhill runs on the slopes of Mount Timpanagos. Founded my film maker and conservationist Robert Redford, the resort offers family-friendly pottery, beading and printmaking classes in the Art Shack, winter fly-fishing and dining menus with an emphasis on organic and locally sourced ingredients. Stay in a cozy cabin or opt to sleep in the High Lonesome Lodge where ranch guests steep in expansive views of the Continental Divide and the Ranch Creek Valley while channelling the pioneering spirit of early homesteaders. The centerpiece of the lodge is a reconstructed Civil War-era barn. Choose from 31 guest rooms and four suites, each with private outdoor patios and Adirondack-style rockers. Grab the binoculars to catch a glimpse of wildlife roaming on this 6,000 acre expanse of Colorado beauty or set out on the Nordic trails for an up-close view of winter scenes. Sharks continue to fascinate kids of all ages. Here are five ways to plan a family trip that incorporates sea-faring adventure and facilitates a greater understanding of our oceans and the creatures that live in the sea. 1. Summer of Shark, Princess Cruises. If your crew is known to binge on the annual Shark Week programming, you’ll want to join the cruise line’s Discovery at SEA program, offered in partnership with the Discovery Channel, for a fully immersive experience honoring the great finned creatures. Expect elevators, restaurants and other public spaces decked out in shark style as well as themed events, culinary offerings and other shark-centric festivities. Children and teens can head to the newly designed Camp Discovery where age-appropriate shark-themed activities will be underway, including shark face painting, the crafting of shark clay models and shark inspired jewelry. For those seeking more of an adrenaline rush, ask about the shark diving and whale shark encounters available during some sailings. 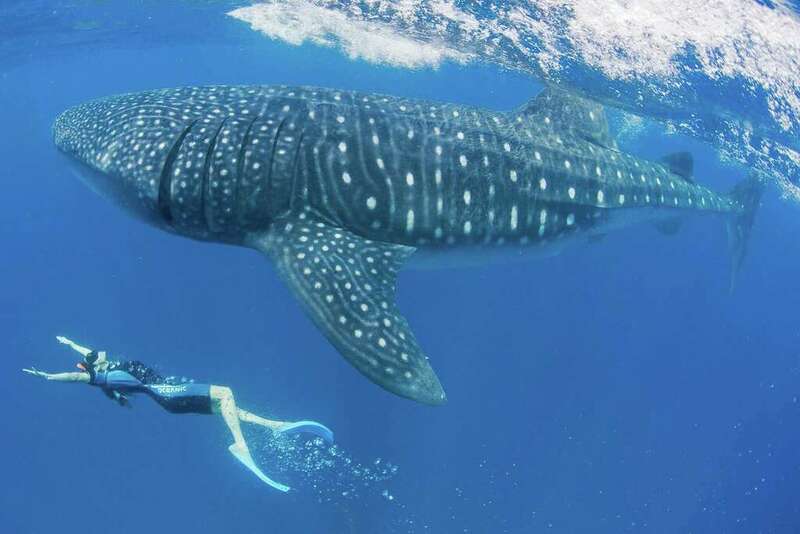 Swimming with the largest fish in the sea is a thrill worth seeking. Whale sharks reach lengths of 40 feet and can weigh 15 tons. Despite their imposing presence, the gentle creatures peacefully share the warm seas with visitors who arrive via boat from the shores of nearby Cancún. Two at a time, along with a guide, you'll don a life jacket or wet suit and fins before jumping in for a swim with these plankton-slurping vegetarians. No touching is allowed (the mega-fish are considered a "vulnerable species") but you can swim alongside as they thrust forward their supersize square jaws and begin filtering everything in their path like a water-born vacuum cleaner. 3. 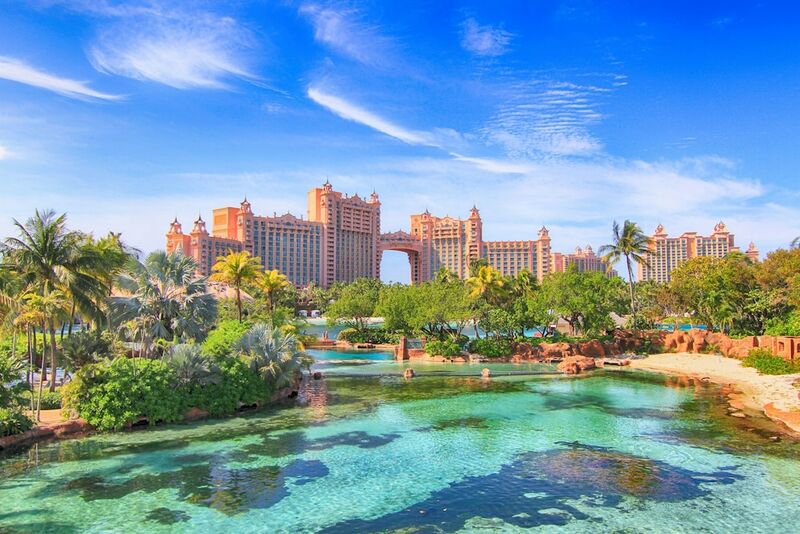 Atlantis Resort. Paradise Island, Bahamas. 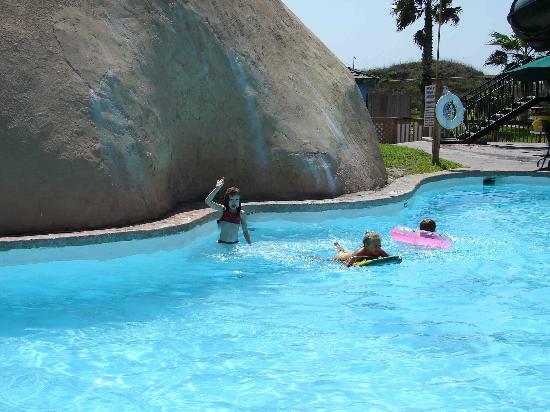 Slip, slide and walk among sharks at this expansive island resort where families have access to141 acres of adrenaline-pumping water play. Head for the Leap of Faith slide at the top of the Mayan Temple, plop in an inner tube and hang on for the ride. You’ll twist and turn through a tunnel, dropping almost 60 vertical feet, before emerging in a clear, acrylic tube deep within a shark-filled lagoon. For those who want to stay dry, panoramic windows offer views of Hammerheads, Reef Sharks and barracudas. The more adventuresome can don specially designed underwater helmets and walk with the sharks inside their exhibit. 4. Cabo San Lucas, MX. Join the trip to Cabo Pulmo to experience 300 species of fish, 200 marine invertebrates as well as Bull Sharks in what is called the world’s most “robust and healthy marine reserve”. For the more adventuresome (and those over 15) consider the Cabo Shark dive that includes swimming with silky, blue, smooth hammerhead and mako sharks. The organization’s founder and professional shark dive guide, Jacopo Brunetti, is an Italian marine biologist, PADI scuba instructor, and a shark behavioral expert. His goal is to encourage shark viewing and diving as an eco-sustainable activity. Resource: Check out the Discovery Channel’s Shark Week programming for a massive menu of documentaries, videos, shark cams, virtual dives and “fintastic” facts. Contact: www.Discovery.com. 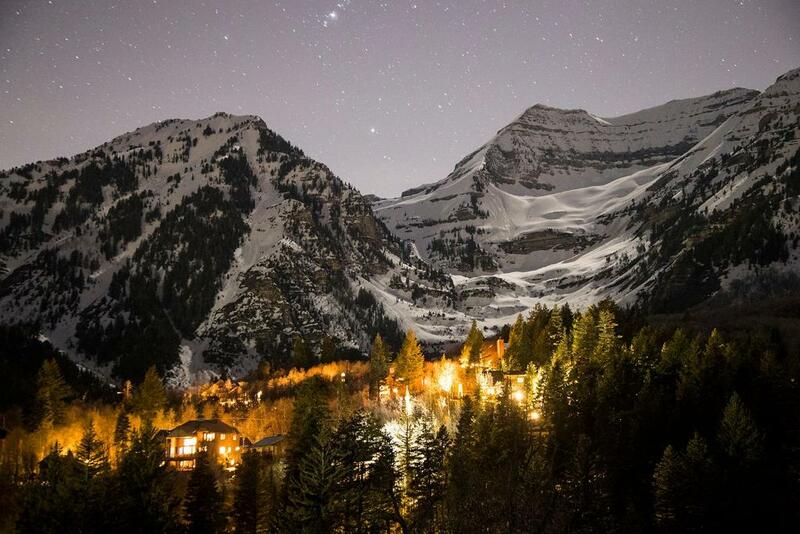 World-class skiing, snow-capped mountains, frigid temps. Yet, during a recent family trip from our mountain home to another part of the state, we were reminded of how much more there is to explore. The famous Rocky Mountains run through the middle of the state, dividing the mountainous highlands from...well, essentially Kansas. The Front Range is what the locals call the eastern foothills of the Rocky Mountains, and there is no uncertainty about where those hills end and the Great Plains begin. 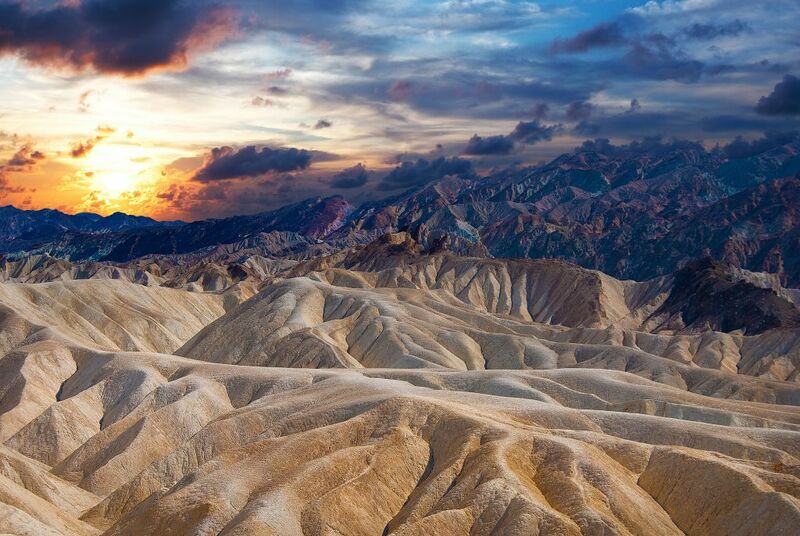 The line of mountains looks like a long wave about to crash on a smooth beach. And it's a crowded beach. More than three fifths of Colorado's happy population live in the flatlands (albeit tucked up against the base of those majestic mountains), including the capital, Denver, and the hip college towns of Boulder and Fort Collins. Also in that list is the historic and sometimes overlooked Colorado Springs, the state's second largest metropolis. The Springs, as locals abbreviate it, isn't absent from the national consciousness, strictly speaking, but it is surprising how its vast and diverse array of activities can remain a secret to most outside the state. Many know it for being the home to the stunning U.S. Air Force Academy and the U.S. Olympic Training Center, for its iconic view of Pikes Peak (where Katharine Lee Bates was inspired to pen "America the Beautiful"), and for the U.S. Air Force North American Air Defense Command or NORAD (actually inside Cheyenne Mountain, to protect it from a nuclear strike!). 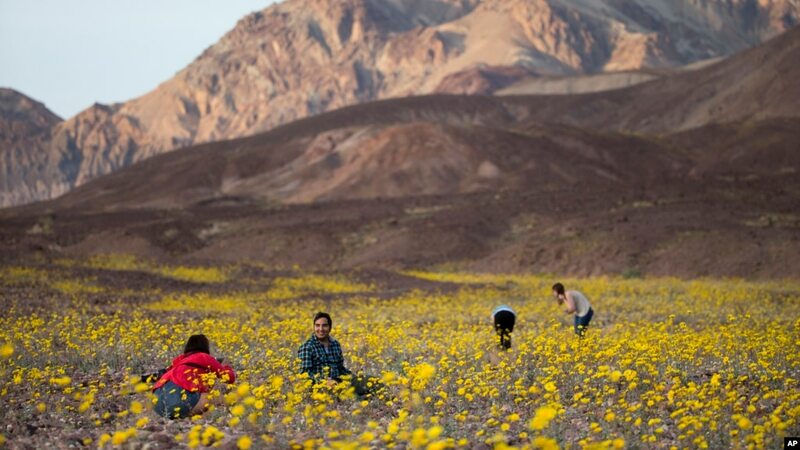 And while it recently had some recognition for its move-worthy amenities and lifestyle with US News & World Report ranking it the 2nd most desirable place to live in the U.S., it is currently getting more well-deserved love as a tourist destination. But families in particular should stand up and take notice of Colorado Springs. Per square mile, there may not be a more beautiful, diverse, affordable, family-friendly place. Homebase for our Colorado Springs adventure was the Cheyenne Mountain Resort. Located on 200 acres, with golf, spa, a 35- acre lake with loads of water action, and plenty of hiking trails nearby, it was a grand location from which to explore. Your family can sit around a beach bonfire, go paddle boarding at sunset, or play Marco Polo in the pool. There's also a Kid's Club to consider and special programs offered during summer and school holidays. Of course the whole place started with natural beauty. Approaching the city from the east, you'll see Pikes Peak looming over it, just as the mountain's namesake, military explorer Zebulon Pike did in 1806. After the area was settled, it became famous for its healing climate and spring waters (of Manitou Springs). That attention in turn made visitors notice the exceptional aesthetic beauty that is still the soul of the place. The Pikes Peak Cog Railway, Garden of the Gods, the Cheyenne Mountain Zoo, Seven Falls, North Cheyenne Cañon, are all must-sees on the Colorado Springs canvas. 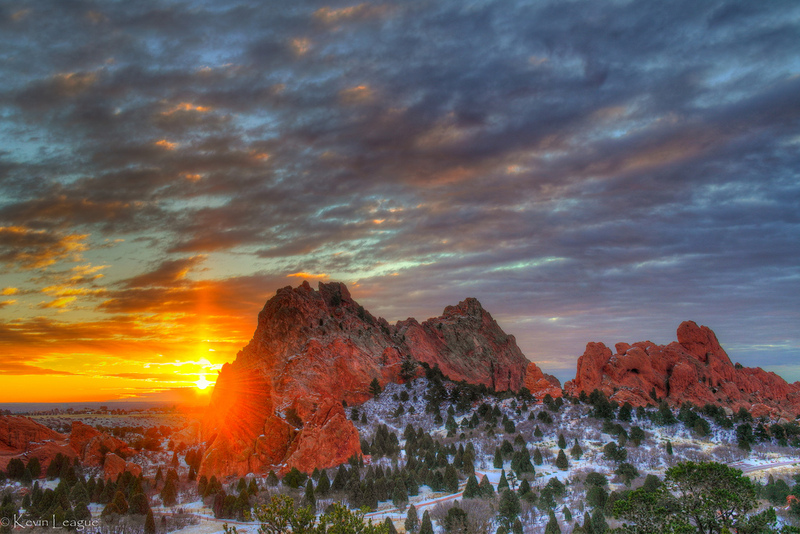 Of course natural beauty often inspires creative beauty, and Colorado Springs is a testament to that aesthetic connection. The Air Force Academy grounds and chapel are a stunning blend of modern architecture and design sprouting from the dense coniferous forest. And if all that doesn't inspire the kids, there are planes, gliders, and skydivers overhead all day long. The Broadmoor Hotel is worth a visit, even if you're not staying. The grounds and buildings are breathtaking, and the activities in and around will keep you busy for easily an afternoon or more. The founder of Colorado Springs, William Palmer, built a castle, called Glen Eyrie, in the western foothills near Garden of the Gods that is today open to visit, tour, and relax for high tea (it is a castle, after all). And perhaps most inspiring are the Anasazi Cliff Dwellings above Manitou Springs. 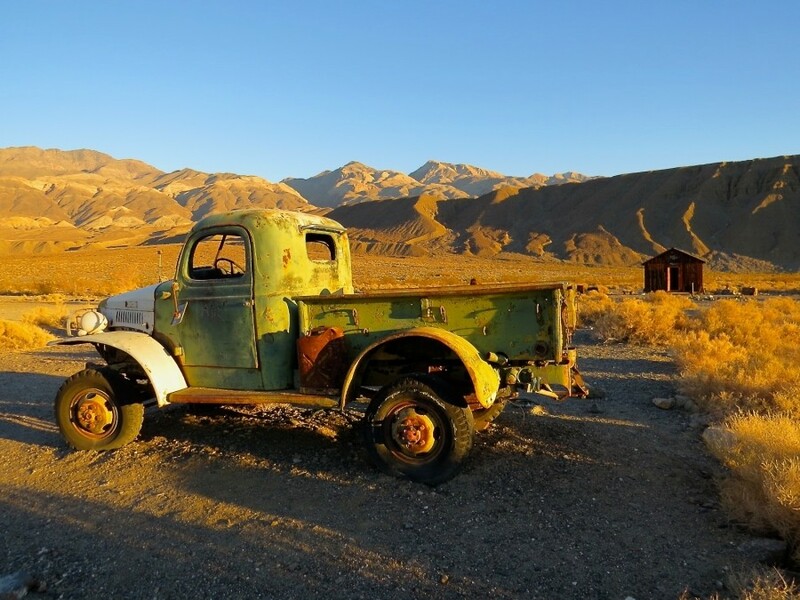 The dwellings were actually relocated from southern Colorado over 100 years ago to save them from further destruction by artifact poachers, but there is no better testament to Necessity as the mother of art and Nature as her muse. All of these things are within 20 minutes of each other, making a visit more about experiences and family time than travel time. Particularly convenient is the Colorado Springs airport. If you can fly there from your home city, you'd likely save money on Frontier Airlines, or justify the extra cost of avoiding the time-sucking Denver International Airport. On a recent flight to Phoenix from Colorado Springs, our family timed our trip from car door to gate in less than 15 minutes, with a stop to check luggage! Check out Colorado Springs Convention & Visitor’s Bureau for great family activities. You can find a place for any budget in Colorado Springs, but check out these options that add some character, history, and entertainment into the package. 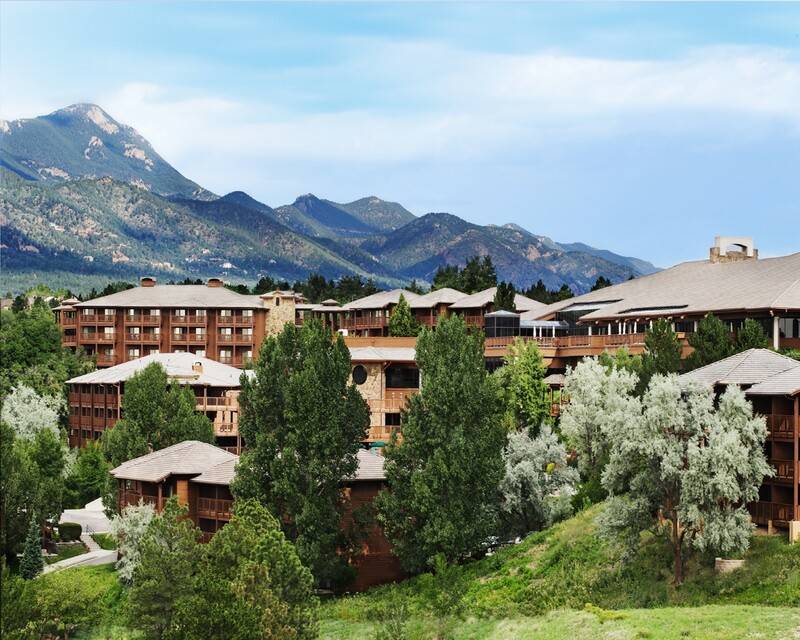 Located near the Broadmoor Hotel, the Cheyenne Mountain Zoo, and North Cheyenne Cañon Park, this family-friendly hotel feeds kids 10 and under for free and offers packages to keep them busy while you golf, swim, hike...spa! It's also surprisingly affordable. The Grande Dame of Colorado Springs hotels boasts a massive property with all sorts of amenities, history, and breathtaking view from its high perch. It'll cost you a bit more, but this is the life of the finer things. WARNING: This North American chain is a self-contained family zone. With a massive indoor water park, restaurants, performances, and activities, Great Wolf will tempt you into never leaving the grounds. You must not let that happen. Our preferred strategy is one to two nights at Great Wolf and at least three more in a property that embodies the character and charm of Colorado Springs. Astraphobics, take heed: Colorado Springs is one of the most active lightning strike areas in the U.S., which is why the electrical pioneer Nikola Tesla sited his laboratory there to study electricity. There really are no bad times to visit the Springs, and if you happen to be there in late October, the Emma Crawford Coffin Races are a great excuse to visit the funky, kitschy Manitou Springs (as if it requires an excuse). Colorado Springs boasts 243 sunny days a year (2 out of every 3 days, on average,) and that's not counting partly sunny days! It’s that time of year when we review recent adventures and plan for the year ahead. Stoke your family’s passion for new experiences with Lindblad Expeditions and partner, National Geographic, through their recently launched Global Explorer’s program. Designed to inspire the next generation of global stewards, kids will hike up volcanoes; snorkel with sea lions; walk among giant tortoises, all while learning how to read maps, populate a field notebook, and build storytelling and observation skills. Celebrating 50 years of exploration, Lindblad launched the program in the Galapagos Islands and will expand to Alaska in 2018. Check in to a luxury resort where the mesmerizing view, impeccable service and options for family fun will be enough to lower your blood pressure. At the Four Seasons in Jackson Hole, WY, slumber at the gateway to world-class skiing, hiking, fly-fishing and two of the most breathtaking National Parks in our portfolio of national treasures. 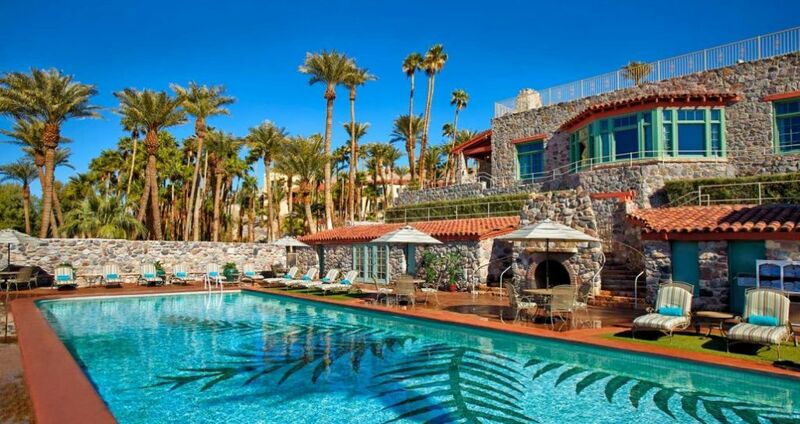 Take advantage of the heated pool, top-notch spa and fine dining. Grown ups can plan a day touring local art galleries while youngsters are engaged by the smart kids program. Travel with the whole family. With busy careers and geographic spread, it can be challenging for the generations to spend time together. Group vacations can offer a workable solution. Cruises, all-inclusive resorts and resort rentals provide easy to predict pricing as well as built-in activities for every age group. Tour companies like Thomson Family Adventures specialize in crafting compelling itineraries that appeal to multiple generations, including departures for parents and adult children. 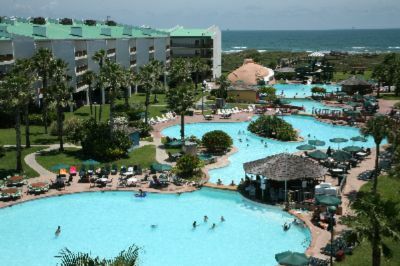 Book spacious condos with resort rental site Vacatia and you’ll have the option to make payments and split the bill with family members using Flexpay. A family trip is one of the best educational tools available. From guided tours in faraway places, to your own take on a local museum, you are sure to return home with new insights. Visit The National Museum of African American History and Culture, the Smithsonian’s newest and only national museum devoted exclusively to the documentation of African American life, history, and culture. The centerpiece exhibit, which explores the complex story of slavery and freedom, may provide a pathway for discussing current events. Gain new insight into our national tragedy during a heart-wrenching tour of New York’s 911 Museum. Learn about animal behaviors at a nearby zoo or animal park. In short, discovery adds to the magic of travel. 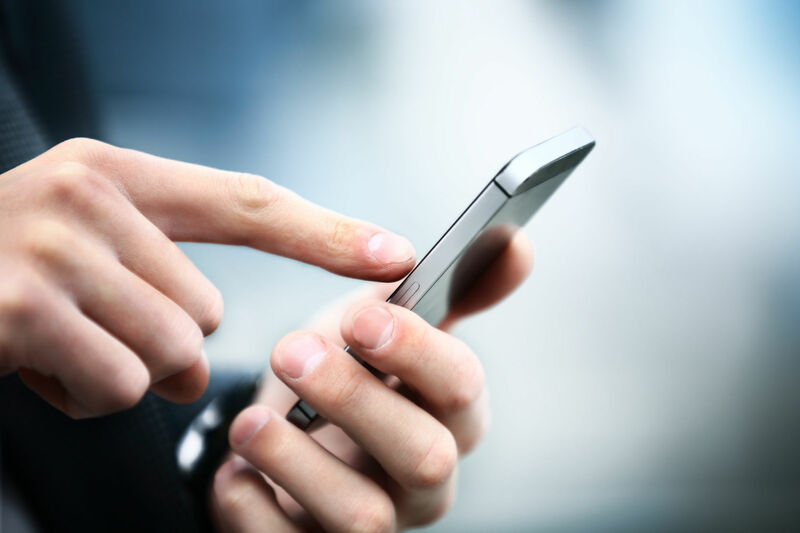 Use the bounty of easy access apps to make the most of your travel time and resources. Organize your details with Tripit. Make Gasbuddy your reliable, road trip pal. If your well-crafted plans go awry, know that HotelTonight can help track down a last-minute place to stay. And turn to GateGuru for airport security and restaurant intel should your family be faced with delayed flights or a long layover. Search Oh, Ranger! Parkfinder, by destination and activities to find great places to play in our parks and public lands. Then share your experience with friends and family via Postagram, which will deliver a photo and message via snail mail. Contact: Tripit.com; GasBuddy.com; HotelTonight.com; GateGuru.com www.Sincerely.com/Postagram.com; www.ohranger.com. Four Seasons Resort Lanai, Lanai City, HI. Fairmont Grand Del Mar, Del Mar, CA. Ranch life continues once the snow flies! Located approximately 130 miles west of Denver, Colorado, Latigo Ranch is situated in one of the most beautiful places on earth and offers a panoramic view of the Continental Divide. Guests can drink in the views, inhale the crisp mountain air, and gaze in awe at some of Colorado’s most spectacular scenery from the front porch of the ranch’s historic log lodge. Guests will experience warm hospitality and winter activities, cross country skiing, snowshoeing, and tubing that keep Latigo Ranch guests coming back year after year. The outdoor activities are as invigorating as the inside comforts are cozy. Winter rates and packages start just before Christmas and run through late March. I learned about the basic American hotel room from Howard Johnson in the 1960’s. Two double beds with back boards bolted to the wall, two fake oil paintings above said backboards, a stand in between the beds with a lamp and phone, a standard bathroom, and a TV. The last time I checked, little has changed. When you book a room in the USA you know exactly what you are getting. This is not the case overseas. Europe has a 1-5 star rating system that is extremely consistent. But the stars have more to do with the amenities offered than the overall glamour quotient. My family quickly found that three star hotels were the right match for us. They were affordable, often family owned, clean, and came with breakfast in the morning. But the similarities stopped there. When it came to design, well, let’s just say that half the adventure of our day was exploring our night’s lodgings. First, when you make reservations you must specify how many people will be in the room because you are charged per person rather than per room. Since we always wanted to be together, we would ask for a room for four people thinking that would be easy: two queen beds, Ho Jo style. But that was simply not the norm. Because there is no norm. Sometimes we’d get a double and two singles, or three singles and a sleeping bag, sometimes bunk beds, and sometimes four singles jammed into a space that looks like it could hold only a double. And the beds were not always lined up in neat symmetrical fashion. They were jammed in whatever way worked like pick-up-sticks that fall every which way. Some of the rooms were cozy with wood furniture and pretty wallpaper. And some were as austere as prison cells with a tiny window that opened onto a dark alley. And the bathrooms, well, talk about an adventure all its own. 1. The shared bathroom down the hall. No comment. 2. The tiny bathroom that doubles as a shower. There is no shower curtain to cordon off the shower area. Simply a shower head in the ceiling and a drain in the floor. The entire contents of the bathroom gets soaking wet including all of your make-up and toiletries. After toweling off you feel this pressure to towel off the entire bathroom. Very time consuming. 3. The tiny bathroom that has a little shower curtain but no basin on the floor so the whole bathroom fills up with water since the drain usually is very slow and you have to slosh around in an inch or two of sudsy water while you attempt to towel off and get dressed. At least your toiletries and make-up are safe. But be careful not to drop the hairdryer. 4. The tiny bathroom with a shower curtain and a basin to catch the water. This is an appreciated upgrade. Even more so when the water temperature doesn’t alternate between ice and lava while you are showering. 5. The mid-sized bathroom with no shower. Only a tub with a hand held spigot for rinsing. Bath tubs are not necessarily designed for pampering, unless of course your idea of relaxing involves bending all of your joints at 90 degree angles at the same time. Again, this bathing experience usually ends up with water all over the bathroom floor as the absence of a shower curtain insures that the water from your hand held sprayer will bounce off your head and shoulders and land anywhere outside the tub. Besides, it is inevitable that at least once during the bath you will forget about the sprayer and will turn it in some unexpected position and it will spray all over the room. Usually hitting your make-up and toiletries. 6. The fancy bathroom. Once in awhile we would luck out and get a spacious bathroom with a big tub and separate shower. We would feel like royalty and take turns soaking in the tub after dinner thinking about the good old days when this was just a normal occurrence. 7. My personal favorite was the bathroom in the hotel outside Siena. This bathroom, presumably to save space, had a molded shower/bidet contraption that was cylindrical in shape. (God help the people that were over 140 lbs because there was no way the door would close) Besides the fact that you had to shower in the previous tenant’s bidet residue, you were sure that any moment you would be beamed up to the Enterprise in your birthday suit to meet Captain Kirk and the crew. You will invariably find a cord hanging in every shower or bath. It is affixed to this little box that is stuck to the wall high above your head. Presumably it is to call for help if there is an emergency. What, exactly, are all of these bathroom emergencies that are going on all over Europe? Why have we not heard of these on CNN or FOX News? If you do pull on it (and you have no idea how tempting that is) does someone magically appear to help you? Does that someone look like Andy Garcia in a towel? There is something to be said about all of this diversity. It has been amusing, creative, and entertaining. It has been the fodder for countless breakfast conversations and night time giggles. It somehow feels more human, and the fact that they are family owned makes them cozier. Maybe it’s the pride that goes into it, or the ‘make-do’ spirit. Or the individualism and personal touch of the owners who welcome you upon arrival and whip up breakfast for you at dawn. It certainly made us wonder how a country such as ours, based on the strength and freedom of the individual, could evolve into a nation where everything looks the same. Where’s the individualism in that?